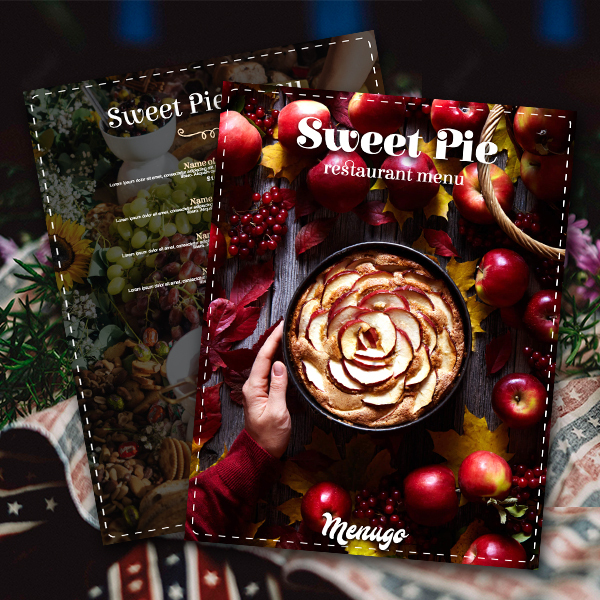 Display all your cakes and pastries on delicious-looking Sweet Pie Menu Template from menugo. Apple Charlotte Pie on the cover gives us that cozy feeling of home made bakery. Only for bakeries that use fresh berries and fruits and serve pies straight from the oven.